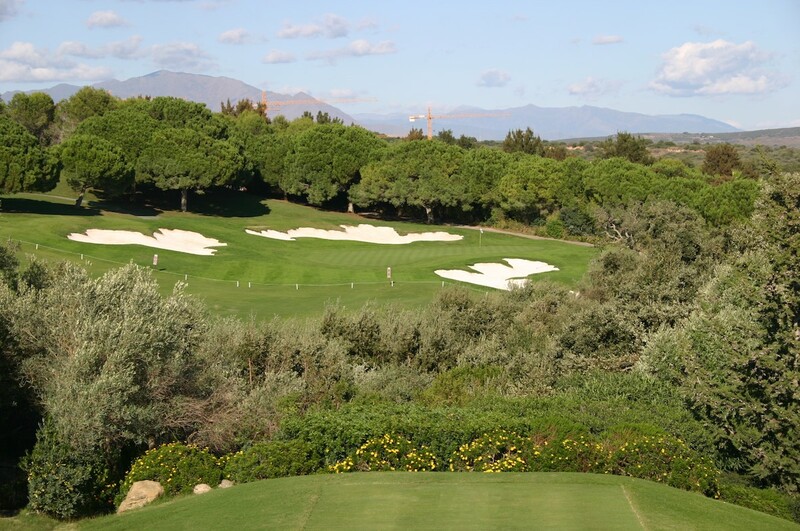 Although Valderrama is a recent phenomenon, its genesis can be traced back to 1975 when the Sotogrande Estate opened a second Robert Trent Jones layout to accompany its famous Old Course. 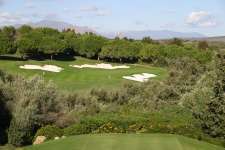 The New Course, as it was first known, had major shortcomings and was sold in 1985 to a business consortium headed by Jaime Ortiz-Patiño, a Bolivian mining magnate who was a homeowner on the Sotogrande Estate and frustrated by the increasing traffic on his beloved Old Course. His group also acquired land surrounding the New Course that was earmarked for residential dwellings but essential to improve and extend the layout. The property was renamed Valderrama and following a falling out with his consortium, Ortiz-Patiño bought them out to become club President and the driving force behind its success. Trent Jones had always believed this course had enormous potential and when contacted to repair the problems of the under-funded original was naturally delighted to be given a second bite at the design, and even more so to have extra acreage and a client who instructed him to work toward an ‘ideal world with money a secondary consideration’. Determined to create a stern test for the world’s best players, their first decision was to reverse the two nines, primarily to ensure the course had more of a sting in its tail but also because of plans to add a pond in front of the 17th green to create a dramatic penultimate championship hole. Trent Jones then spent several years personally working hole-by-hole through the layout, altering and reshaping each fairway and creating a dramatic set of new greens, most being small, quick and full of breaks that are difficult to decipher. Many are built up and also guarded by punishing bunkers positioned to catch anything wayward and deep enough to then extract the maximum penalty. As a result of a preoccupation with providing professionals with a thorough challenge, for mere mortals Valderrama is a gruelling test that many find narrow and overly penal. 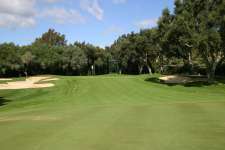 The difficulty of the course is tee to green as holes are cut through an established hardwood forest, with a number of large sprawling cork oaks likely to either catch your shot or block your approach if you are not driving the ball precisely. Tough to carry and at times impossible to bend around, some individual trees, like the one in the middle of the 2nd fairway or the beast blocking the right side of the 5th green, do seem a little too intrusive whilst the short par four 8th and left-bending 18th are two of the enclosed holes that are horrendously cramped from the tee. 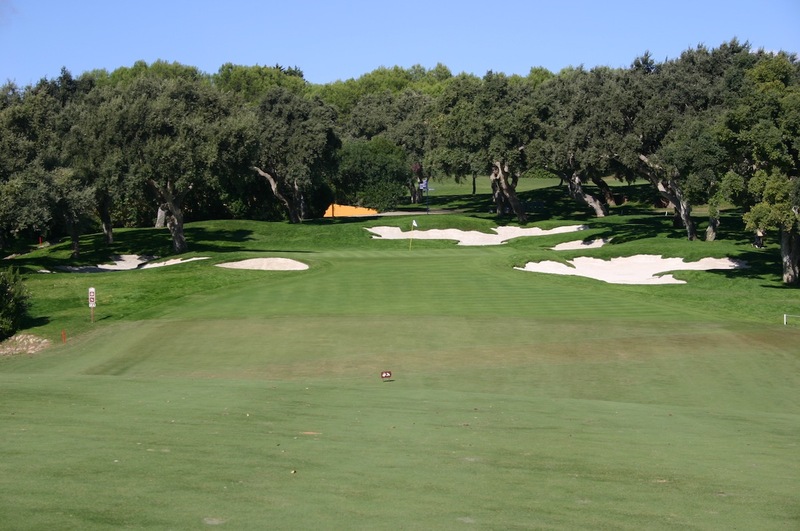 Although the difficulty of Valderrama is relentless, strong two-shot holes like the 2nd, 5th and 10th and approach play into the attractive built up targets are among the highpoints of the layout. As a set the par threes are solid, while controversial par fives like the 4th, with its cascading greenside waterfall, and the infamous 17th are both good driving holes and good third shot holes, the only negative being that neither is a realistic chance in two for the average golfer because of the severity of the targets. The 17th is much maligned by professionals because its green slopes steeply toward the pond and many have spun the ball back into water from the fairway. The front of the green plays like the 15th at Augusta and a swale between the green and its back bunkers is similar to Augusta’s 13th, which makes missing long and chipping downhill toward the water a particularly nasty option. Played sensibly, though, the pitch across the pond is within most golfers capabilities and a fun shot to hit, especially given the hole’s history. 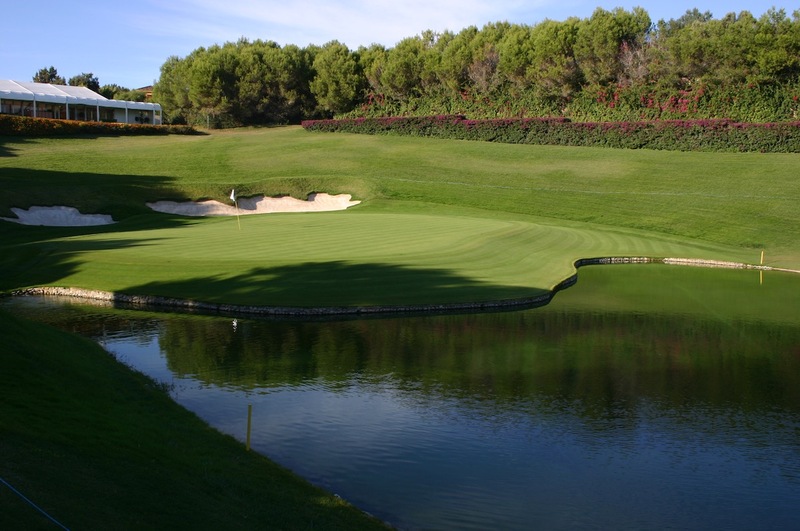 Attractive and surprisingly undulating, Valderrama is close to ideal terrain for this sort of design, with none of the gradients too steep for sensible golf. Importantly given the property’s elevation and proximity to the sea, the direction of play changes constantly making full use of the area’s two distinct trade winds. 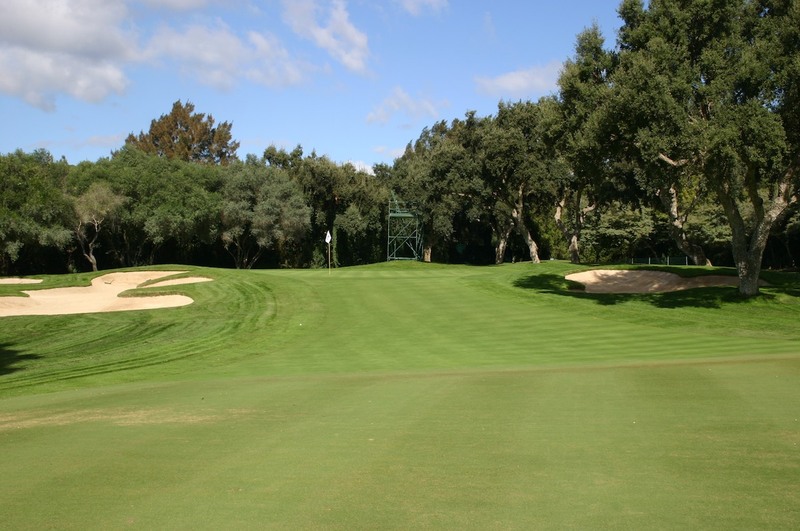 President Ortiz-Patiño, a certified greenkeeper, was famously hands-on here during his tenure in charge and the club’s success was as much down to his vision and drive as Trent Jones’ solid design, especially in the 1990s and 2000s when Valderrama came to represent turf excellence. Unquestionably the most demanding 'championship' course in Europe, and one of the finest from this era, Valderrama has a huge reputation in this region. Given its celebrity, turf conditioning and tournament pedigree, it is one high profile course probably worth the billing.